You are here: Home / 2017 Queenbert / Queen’s 3-D Book Gushes Over Adam Lambert! TeamRock.com has published a most delicious and satisfying excerpt from Brian May’s “Queen in 3-D” book telling the story of how Adam Lambert came to be part of the Queen family. It needs no further explanation, so read on! I wish I knew who to give credit to for this most regal picture, taken from Facebook. We, ~~ all of Adam’s faithful, dedicated fans from the very first time we saw him audition on AI ~~, always knew that he would become a beloved Icon!!!! His album concert tours were the very best because he devotes his very best to his fans. When his new album comes out, there will be another tour, and as usual, will be a sell-out. He is fantastic with Queen too. Brian and Roger love him as his fans do. No matter what he sings, or who he sings with, he is #1. 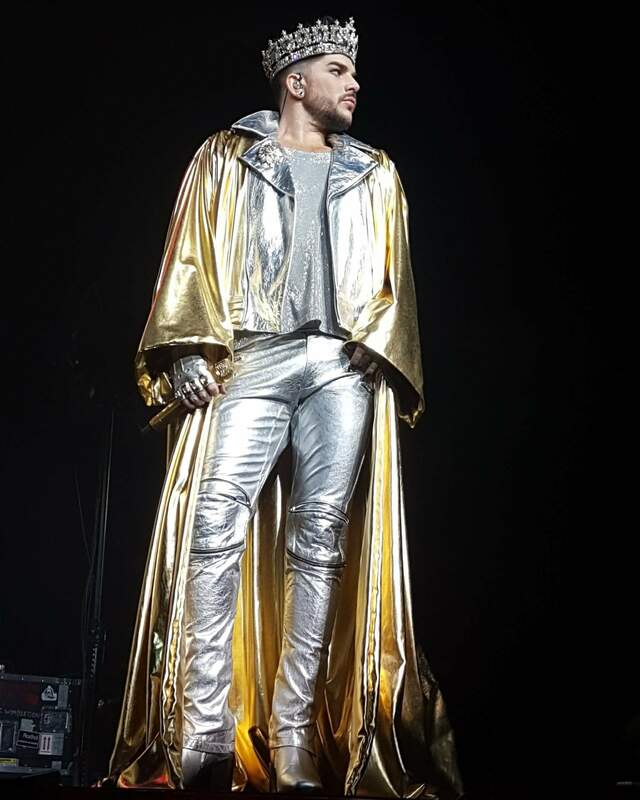 Adam has brought so much good into his fans’ lives….bringing people together to be life-long friends. I’ve been so lucky to have gone to many, many concerts (and a meet & greet) all over the country and Canada, and I’ve got wonderful memories thanks to Adam Lambert. I can’t wait to make more memories with Adam, and my Adam friends!!!! Wonderful to see the video again and hear Brian’s kind words. It all seems like yesterday when Adam entered our lives. Like Brian said it’s so much fun! Great to hear that story. They’re all lucky they found each other!